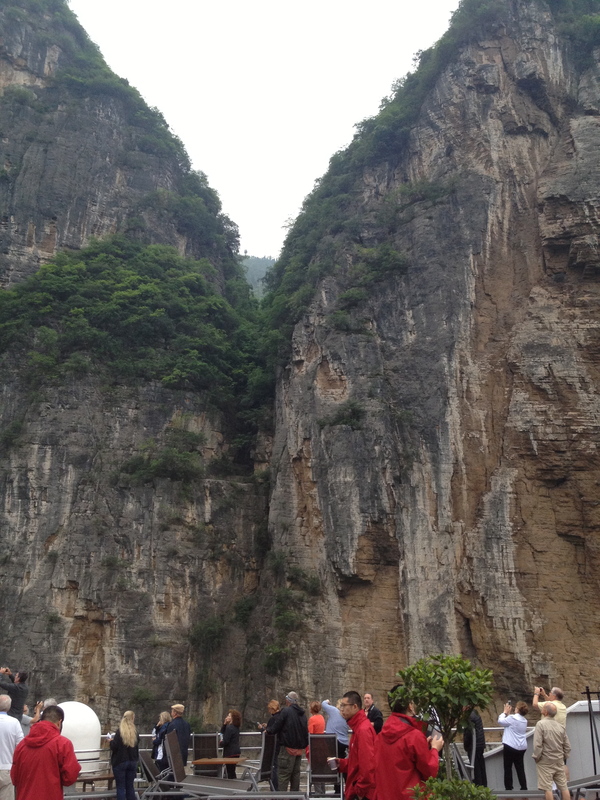 We got up early to view our passage through Qutang Gorge, the first of the Three Gorges. We went up to the sun deck, which retains that name even when it is not sunny, as it was not this morning. As we entered the gorge, we had a brief introduction from the boat’s river guide, Ben. 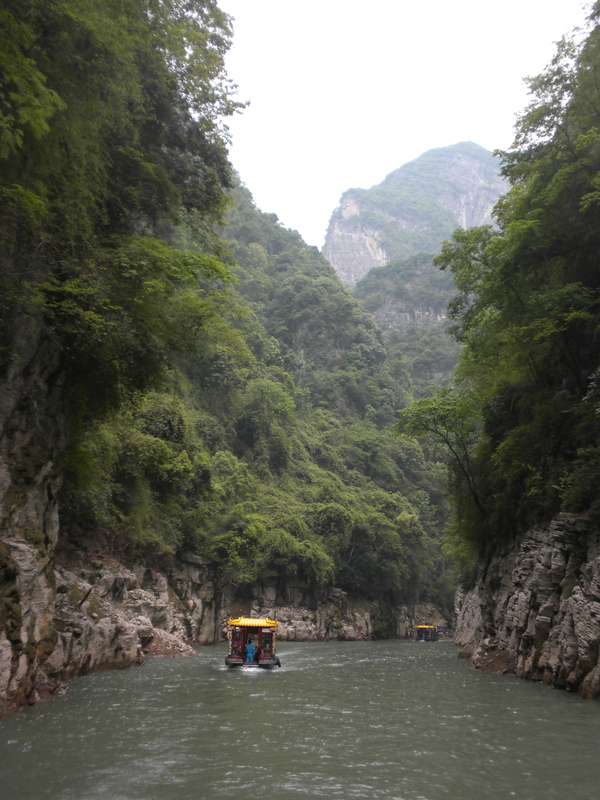 Qutang is the shortest of the gorges but it us also regarded as the most picturesque. The gorge was beautiful, though it was a bit misty as we passed through, so we perhaps we did not get the full impact. It only took about half an hour to pass through the gorge. Then we went down to breakfast. At 9:45, the ship came to a stop at the entrance to the Goddess Stream, so called because of a rock formation called the Goddess, which is barely visible from the river. We disembarked the Viking Emerald to board 20-passenger sampans for a tour up the stream to view the so-called Lesser Three Gorges. They should change the name because these were if anything more spectacular than the Three Gorges. The stream is much narrower than the Yangtze, so the walls were quite close to us and spectacular rock formations loomed overhead. Our local guide, June, was a peppy young lady but was not super-proficient in English. Viking only recent added this excursion to the tour, and our guide had been guiding Chinese tourists. Fortunately Matthew happened to be on our boat, and he translated and added perspective. At the end June serenaded us with a couple of songs, and she turned out to have a lovely voice. The Goddess Stream was once not much more than a creek that was navigable only by small boats. Because of the dam, however, it is now 70 meters deep in the summer and 100 meters deep in the winter. After we returned to the ship, it was back to the sun deck to witness our entry into the second of the Three Gorges, the Wu Gorge, again narrated by Ben. It is longer than the Qutang Gorge but also less spectacular. 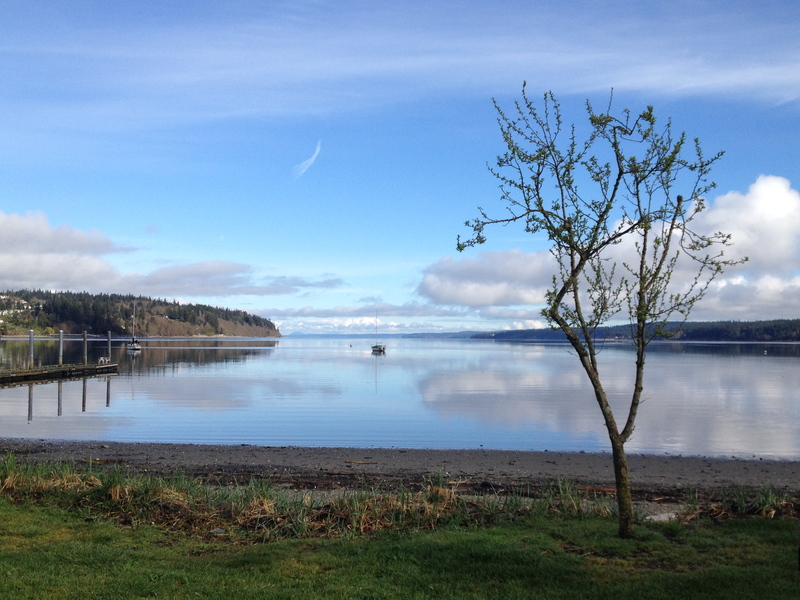 Ben said that some of its natural beauty had been lost to the flooding from the dam. 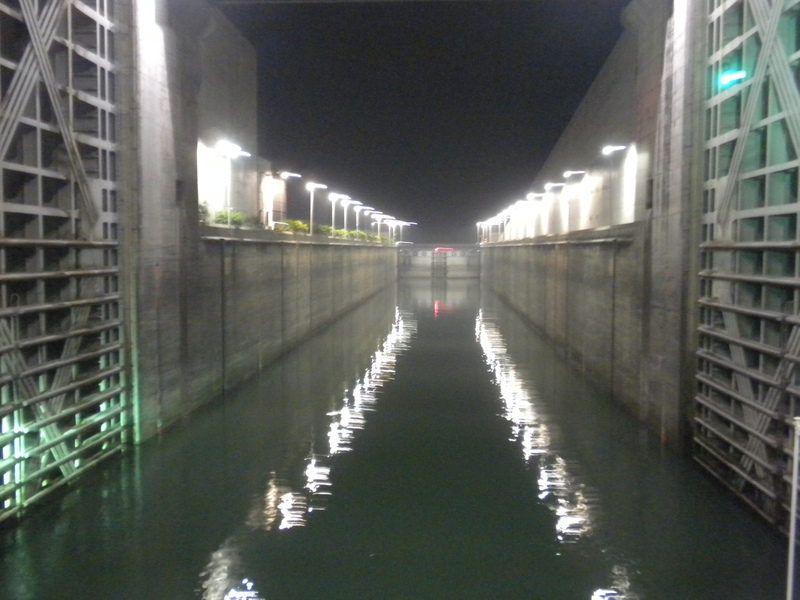 After dinner, at about 8:30, our ship began to pass through the locks of the Three Gorges Dam. The dam is so high (594 feet) that it has five locks and it takes three and half hours to pass through them all. The locks are quite large. 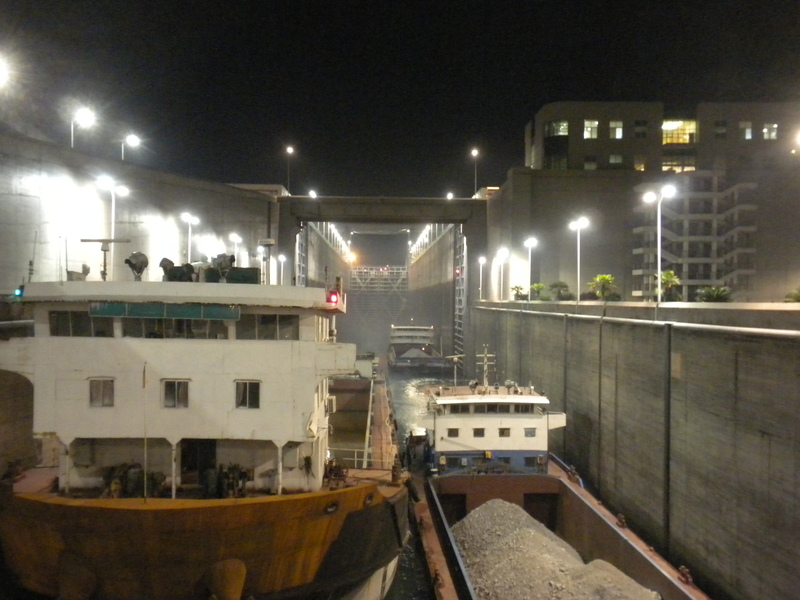 On our passage were not only our ship but a freighter that was almost as large and three barges. I watched the passage through the first lock and part of the second one and then went to our stateroom. Our cabin was right next to the wall of the lock, so we couldn’t really see anything, but we still remained awake until we passed through the last lock, at around midnight. Tomorrow we will tour the dam.